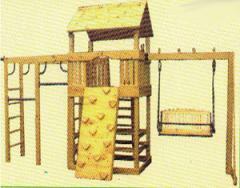 Playgrounds are sports and game. Different sizes and configurations. To order. Production from the customer's materials is possible. Quickly. Qualitatively. Unbelievable price on Complex sets of sports games for children in Ivanchi (Ukraine) company Predpriyatie gosudarstvennoj kriminalno-ispolnitelnoj sluzhby Ukrainy (№76), GP. Wide choice of quality products at affordable prices.